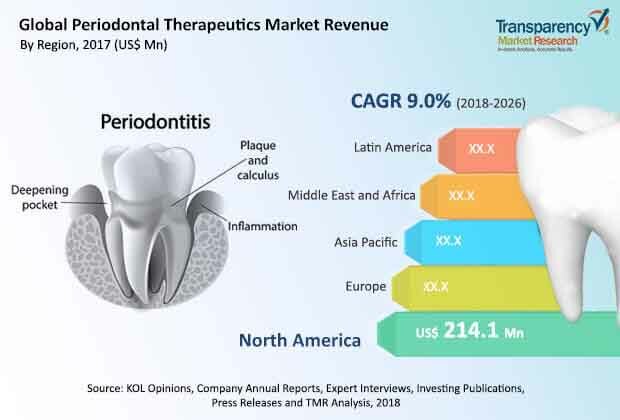 The periodontal therapeutics market is segregated based on product type, distribution channel, and region. In terms of product type, the local antibiotics segment is estimated to account for a large share of the market. Based on distribution channels, the hospital pharmacies segment constituted for a major share of the market in 2017. The segment is likely to expand at a considerable growth rate as compared to other distribution channels during the forecast period.